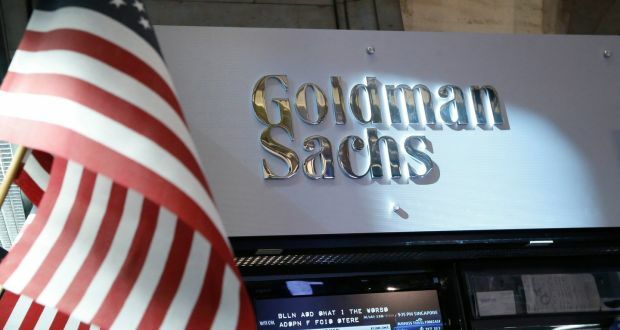 Goldman Sachs: An Irish firm linked to Goldman Sachs that bought more than €200m of Irish commercial property loans in 2014 from the former Anglo Irish Bank paid zero tax in its first year of operation. An Irish company linked to Goldman Sachs that bought more than €200 million of Irish commercial property loans in 2014 from the former Anglo Irish Bank paid zero tax in its first year of operation, despite collecting €17.1 million in cash repayments on those loans.Liffey Acquisitions is a special purpose vehicle (SPV), a complex type of tax-efficient financial entity generally structured to pay no tax in Ireland. The SPV regime was introduced to attract global debt securitisation to Dublin. However, SPVs are a source of major political controversy, after allegations by Opposition TDs they are being used by so-called “vulture funds” to avoid tax on their activities in Ireland. Liffey owns Kenmare Property Finance, the Goldman-linked SPV set up to hold the mostly Irish, and some UK, property loans bought from the Irish Bank Resolution Corporation. In recent days, Liffey filed accounts for 2014, also incorporating the results of Kenmare, with the two known together as “the group”. The accounts show the group had net income of €18.5 million. The profits from this were wiped out, however, by an impairment charge in the accounts of more than €21 million. The assets were bought from IBRC and originally valued at more than €205 million.Within months, however, the value had been written down, eliminating the profits. The accounts filed by Liffey show that the group has total assets of €218 million, including its cash balances. It made an accounting loss of more than €1.6 million. In theory, this gives Liffey the option of earning more than €400,000 in future profits before it would have to pay a cent in tax. This tax asset is not recognised in the accounts because the directors say “it is uncertain whether the group will generate suitable profits in future”. One of the main advantage of SPVs, as promoted by the Irish law and accounting firms that push the structures to foreign investors such as Goldman, is that the SPV can be designed to always avoid Irish corporation tax.As well as paying no corporation tax, Liffey has no Irish employees. The accounts show, however, that it paid more than €1 million in asset-servicing fees, understood to be to the Australian-owned Pepper Group. Tax advisers were paid about €10,000, while a total of €127,000 was paid in legal and professional fees. Under the loan agreements, Kenmare has since appointed receivers to the site in Blarney, as well as the Bridge House pub in Crumlin and the owners of the Aberdeen Lodge.